Because the city of Milledgeville has no public transportation, Live Healthy Baldwin is working with the Georgia Safe Routes to School Resource Center on creating opportunities for children to safely walk and bike to school. Six of the seven Baldwin County public schools are clustered together and cut off from residential areas by a trio of busy highways. This project strives to circumvent the problem by completing a nine-mile bicycle/pedestrian trail that will travel east to west, running underneath the high-speed roadways, and connecting neighborhoods to the schools. 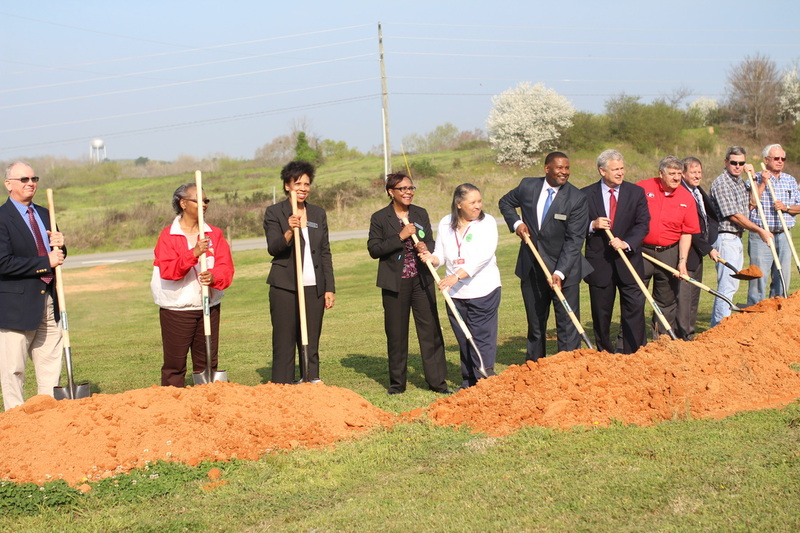 Local dignitaries at the groundbreaking ceremony for the $1.03 million Safe Routes to School project. 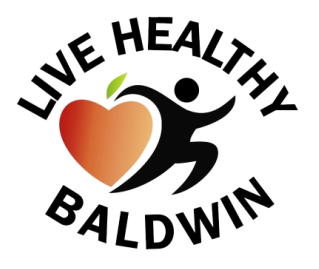 Live Healthy Baldwin strives to raise awareness to the fact that there are no options for children to walk or bike to school. ​Parents, children and community members were encouraged to participate in this event on July 25, 2014 at Eagle Ridge Elementary. 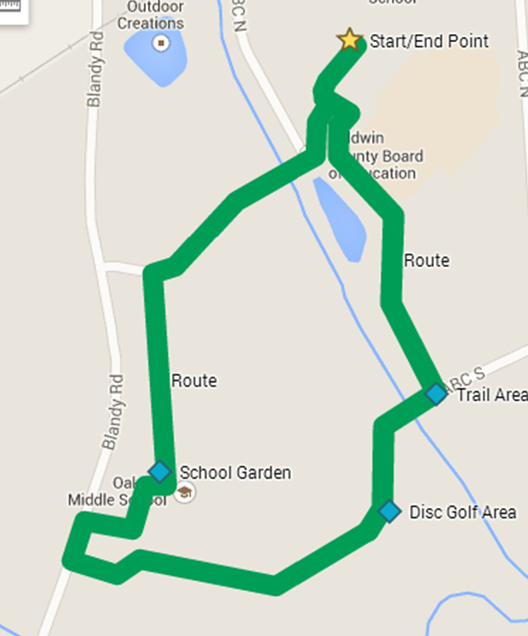 The walk is approximately 1.5 miles with a few educational stops along the way. The Fitbit Flex is a device that is used to track and measure physical activity level. It determines your calories burned, steps taken distance traveled, and sleep quality. The first stop on the route was the Oak Hill Middle School Garden. Participants sat under the pavilion and were educated about the garden by Mr. Claxton. Second stop was the disc golf course where the participants learned about the Rolling Hills Disc Golf Course. Children had the opportunity to to make a disc in the Pole Hole. Participants learn about the proposed sidewalk and trail network on the Baldwin County school campus to be constructed in Summer 2015 with Safe Routes to School funding. We would like to thank our sponsors Oconee Regional Medical Center and Chik-fil-A for supporting this event!